Royalty-free stock illustration of a chill man wearing a purple swimsuit during summer and giving the thumbs up while smiling. He seems to be in good shape with his abs showing. 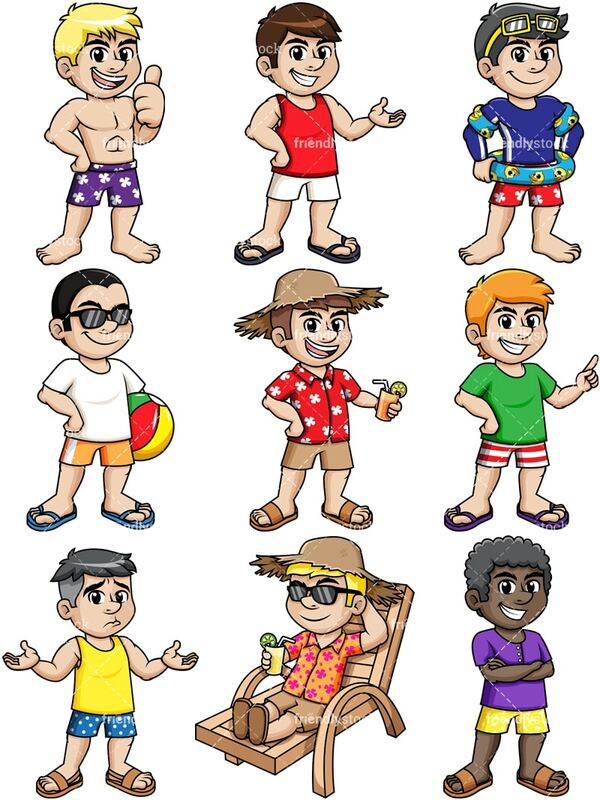 Royalty-free stock illustration of a smiling man wearing summer clothes while pointing to the side like giving a presentation or explaining a concept. 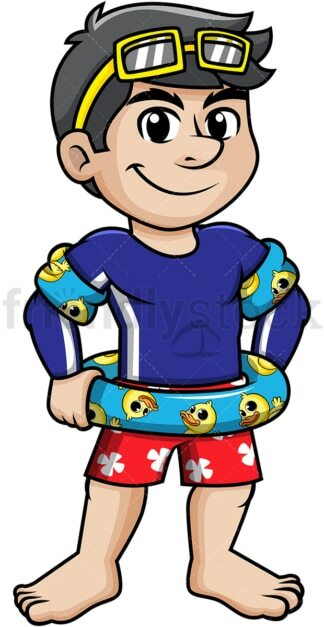 Royalty-free stock illustration of a mature man with gray hair wearing a light-blue lifesaver and arm floats with little yellow ducks on them as well as swimming mask goggles. 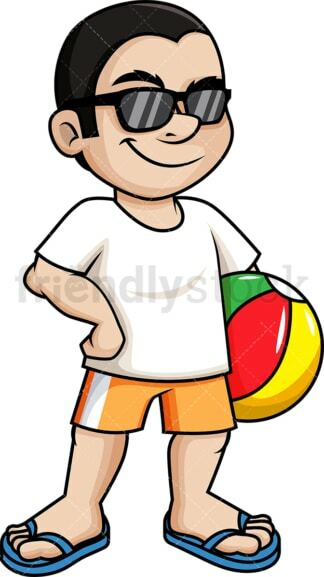 Royalty-free stock illustration of a man with short hair dressed for summer, wearing sunglasses and flip flops while holding a beach ball. Royalty-free stock illustration of a cheerful man dressed for summer, smiling and wearing a straw hat while holding some sort of an alcoholic drink like a mojito. 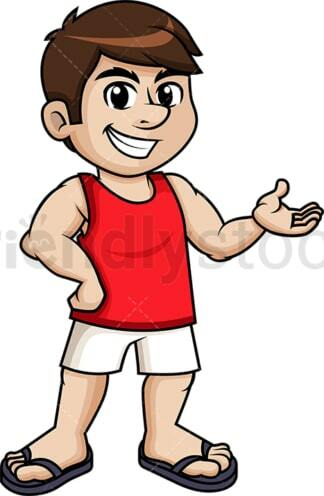 Royalty-free stock illustration of a laid back man dressed for summer and pointing up like if he is making a point, explaining something or giving a presentation. 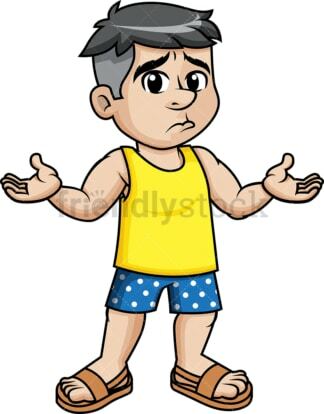 Royalty-free stock illustration of a man with black and gray hair dressed for summer, extending his arms like if he has lost something and looking dissapointed. Royalty-free stock illustration of a laid back man relaxing on a beach chair or by a pool, wearing summer clothes, a straw hat and sunglasses, holding an alcoholic drink. Royalty-free stock illustration of an African-American man wearing summer clothes and crossing arms over his chest, smiling and looking confident.